The British Moth’s ancestor is the American Moth, which was popular across America in the 1930’s, almost 1500 moths were registered with the American Moth Boat Association. Based on this, Sydney Cheverton designed a boat more suited to British waters. The length of 11 ft. was retained, with the scow bow and hard chine construction. The mast was increased to 20 ft. carrying a sail of much higher aspect ratio but smaller overall area (75 sq ft. to 63.5). The small cockpit with wide side decks was retained to permit “dry” capsizing. The first British Moth was built to this design in 1932. It was made of 3/8 inch mahogany, on frames spaced at 12 in., the deck was 3/16 inch thick, the centre plate a large triangular board. The mast and boom were bamboo with the sail being laced on. The sail itself carried four short battens and had very little roach. The rigging was formidable for such a small boat; twin forestays and a pair of shrouds on each side, as well as a backstay on outriggers from the transom and a striker projecting aft from the masthead. The boat was very heavy. Due to its sturdy construction, but it performed remarkably well by the standards of the day. It was much more stable than the American boat and the rig gave excellent windward performance.the group managed to obtain sailing rights on the Brent Reservoir (the Welsh Harp) in North London. They were the first class to use this famous stretch of water for dinghy racing and for a time the British Moth was known as the “Brent One Design”. The National Championship trophy is still the Brent Cup. The class grew; thirty-two boats had been produced by the outbreak of World War 2. Unfortunately, when peace returned the British Moths had scattered and racing was not resumed on the Welsh Harp. The British Moth reappeared on the Thames in 1948 due to the the activities of two boats; the first registered British Moth “Anne”, then owned by John Schilling and No. 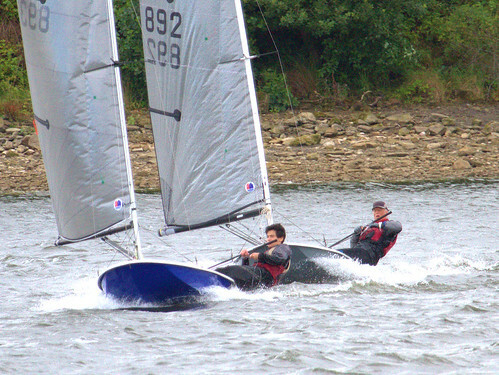 2 “Sabre” owned by Eric Scobie, both based at Desborough Sailing Club. 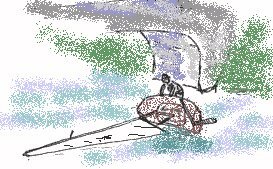 Having no other means of transport these two enthusiasts would sail their boats from one meeting to another, having to capsize and paddle under any intervening bridges. Largely as a result of their activities demand for the British Moth grew. 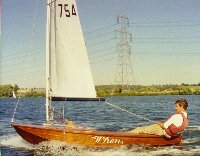 When the new marine plywood arrived on the sailing scene it was Eric Scobie and Kenneth Gibbs who redesigned the boat in this material which eminently suited the British Moth. The class continued to grow and by 1950 there were over 150 British Moths registered. At first the class centred mainly on the Thames in the Weybridge and Shepperton areas, with Desborough Sailing Club having the largest fleet. Several boatbuilders then started producing British Moths and variations in deck layout, centreplate and rudder shape, all permissible within the rules, began to appear. Bell Woodworking, makers of the Mirror, launched a version into the kit market. An unusual variation was produced by Weybridge Marine; using the traditional framed construction, each bottom section was made of one piece of 1/4 inch mahogany rather than plywood. The decks were also of mahogany planking, enclosing a small cockpit. After varnishing the boats looked superb and sailed well despite their extra weight. The Weybridge boats were also among the first to fit a hollow mast as standard, early post-war spars had been made of solid spruce with piano wire used for the rigging, copying the style of the original boats of the thirties. This attempt at economy often ended in disaster, it only required one piece of piano wire to fail for the others to rapidly follow, often leaving the unfortunate helmsman in a cat’s cradle of springy wire and splintered wood. The fifties marked the most rapid period of expansion of the class. The British Moth spread to the Cam and Hunts clubs in the Fens; it moved up the Thames to Medley Sailing Club, Oxford; it appeared on the Broads, moved out to Bristol and up to Warwick. British Moths were raced on the Medway, in Dover Harbour and at Mote Park, Maidstone. 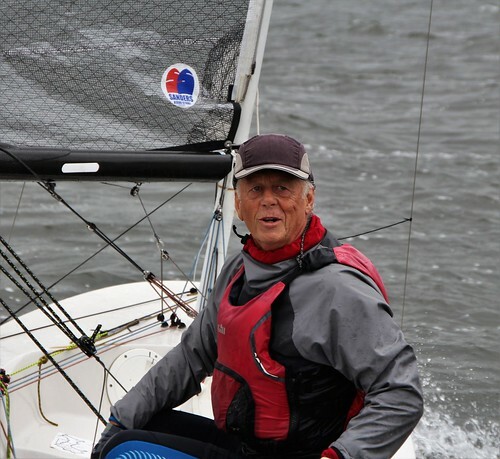 At Lymington, Tony Hibbert started Salterns Sailing Club, run entirely by juniors and sailing on the flooded Salterns. The fleet at one time reached over thirty in number. By the end of the decade, the number of registered British Moths had climbed to over 400. Below is a link to a short film of the 1957 National Championships on the Pathe News site (click on the image to watch the film – it opens in a new window). At Broxbourne Sailing Club on the narrow River Lea, Robert Tucker the yacht designer was among the first British Moth helmsmen at the club. Here, the little plywood boats were derisively referred to as “Itsy bitsy matchboxes” by the owners of traditionally built International Fourteens, Merlin Rockets and National Twelves. Soon, however, all these classes would be built from the same material. During this period the various versions of the design evolved to the ones predominantly used today; the hull and sail lines are one design and the centreplate can be of any shape provided it fits the fixed dimensions of the plate case. The foils must be made of wood and the rudder, like the centreplate, can be any shape. A wide variety of deck layouts is possible within the limits of the class rules and self-draining designs have been tried in various guises. Unstayed masts and centre main sheets were tried and generally discarded, wide gunwhales came and stayed giving mainly an improved appearance. During the 70s the class continued to expand with numbers rising to over 700. A mass produced kit developed by Meritlock sold over 60 boats in just 2 years. 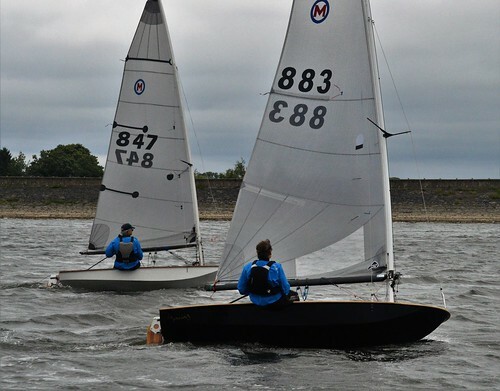 The 70’s also brought increased competition from the new fibreglass boats such as the Laser, so changes to the class rules were made in an effort to make the British Moth more competitive. A full top pattern was permitted to improve sail performance and the minimum hull weight was reduced to 45 Kg. In 1979 a boat builder called John Claridge, who had started sailing in a British Moth built a boat which stretched the measurement rules to their limits. The boat, number 743 named “Ides of March”, was a light, attractive and professionally fitted out boat. It proved extremely fast but drew much criticism because of it’s radical design. It was eventually broken up by its owner Fred Monk. John built three more boats; 751 “Why”, 752 “Wein” and 754 “When”. Fred Monk’s son, Fred jnr, sailed 751 to National Championship victories in 1979 and 1982 and Toby Cooper has won 11 National Championships in 752. These victories were not made possible by the boats, although they were undoubtedly fast, but by the superior sailing skill of both men, indeed Toby has won National Championships in two other boats to prove this point. In 1980 the committee revised the class rules preventing further boats being built in the same style. 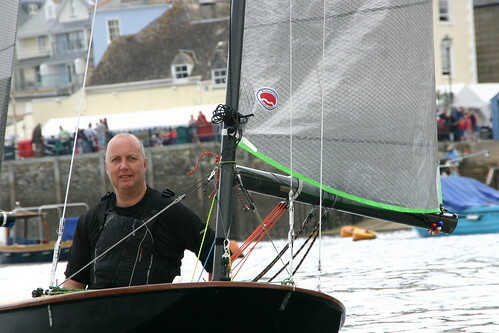 The 1980s did not prove to be a good decade for the British Moth, with Meritlock having ceased to trade only one boat builder, Brian Skinner, continuing to support the class. 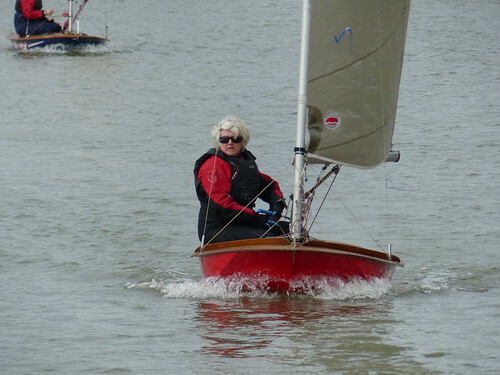 Brian, based in Norfolk, gained a reputation for building good quality, fast and attractive boats which have won National Championships in 1983, 1989, 1990 and 1997. New boats totalled just 50 between 1980 and 1990 and Championship entries dropped from an average of 50 to an all time low of 20 in 1987. In 1989 a stronger committee was formed under the Chairmanship of Toby Cooper, the dominant helm of the period. They set to work addressing the two main problems of the class; limited demand and hence limited supply. They endorsed the design and manufacture of moulds for the production of a fibreglass boat. The first boat from the mould, built by J.E.P. 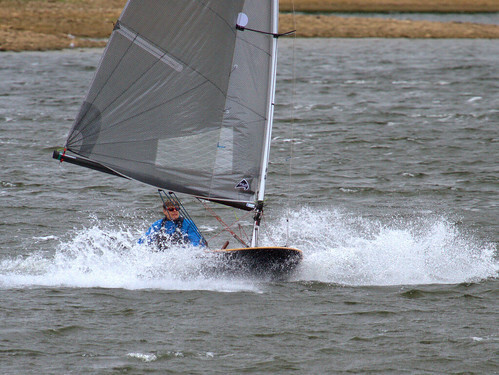 Marine, was displayed at the 1991 Crystal Palace Dinghy exhibition. A kit boat was also developed to allow entry to the class for a smaller outlay. Brian Skinner was encouraged to continue building and produced some of his best boats during this period. Godfrey Clark, secretary for the next fifteen years, performed wonders in unearthing old boats and refurbishing them and building new kit boats. His newest boats are still in demand today. 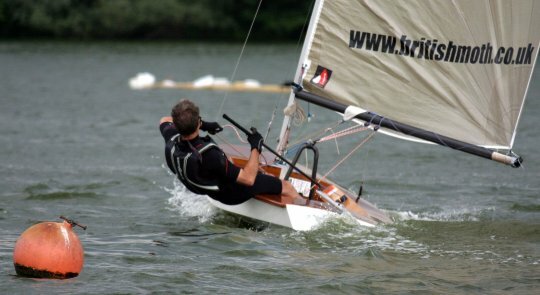 The return of the distinguished yacht designer Ian Howlett to his childhood sailing ground of Medley Sailing Club, on the Thames at Oxford, marked the renaissance of the British Moth class in Oxford: by the end of the nineties over twenty Moths were sailing there regularly, and a strong fleet was sent to the Nationals. 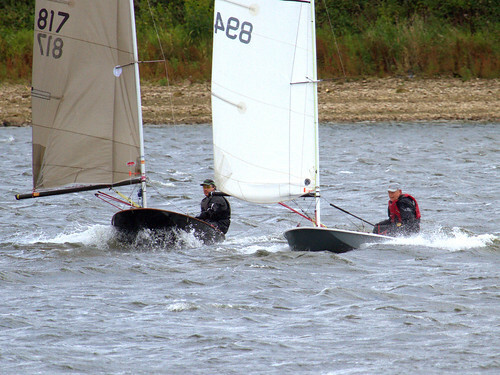 A fleet of 50 boats was achieved at the 60th anniversary championships at Bewl Valley in 1992, and 40 at the Rutland championships in 1996. This is extremely impressive, considering that the Mirror dinghy class, with 70,000 boats registered, only mustered 54 boats for their 1996 championships, and many well-known dinghy classes have far fewer. 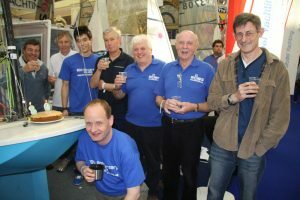 The first decade of the twenty-first century is a lively and promising one for the British Moth Class. New boats are available from several boat builders. In order to ensure the future of the Class at a time when the availability of any good builders looked uncertain, at the 2004 AGM the BMBA decided to finance the manufacture of a high quality GRP mould that it would own. Shells constructed from this might then be decked and finished by professional, or by self-builders. The plug was shaped in order to best use the available Rule tolerances by Ian Howlett, who in the past had been successful in optimizing a variety of One Design Classes. It should be noted that the shape that was produced was made public in order that any builders could also take advantage of the same information and understand the changes that had been made to the original Sidney Cheverton 1932 design – all of which were in line with best modern practice. Further details of the BMBA bare hull and how to obtain one are available in the To Buy section of this site. The structure of these extremely stiff and robust shells utilises a vacuum bonded high density PVC foam core (shell weight is some 18kgs) and they are built to a very high standard by the highly experienced White Formula shipyard in Brightlingsea. 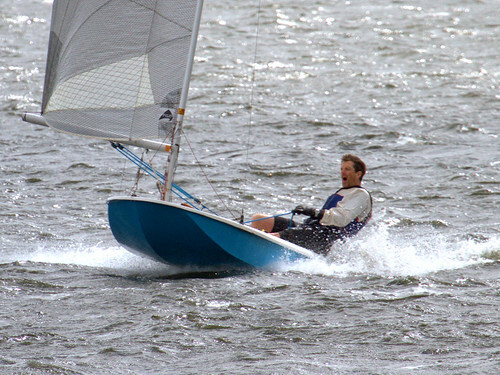 The first boat to be built from this mould was 852 Gipsy which was on display at the 2005 Dinghy Show, and all boats so far built from this BMBA Class mould have shown themselves to be fast in all conditions. All GRP Moths, self draining and otherwise, are available from Brian Skinner who has consistently provided competitive and reasonably priced boats for the Class over many years. 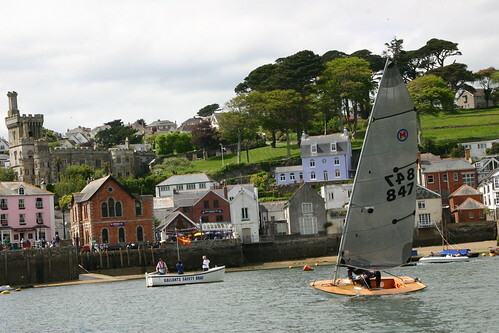 Godfrey Clark, who provided the class with a finely researched anniversary handbook in 2002 and a handsome picture archive in 2005, also offers competitive and reasonably priced boats which have won the Championship on several occasions. 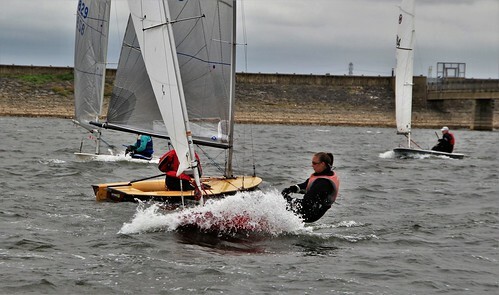 Some twenty new boats have been added to the class in the last four years, and Moths are turning up in a wider range of clubs. Juniors still learn the basics of sailing in Moths under John Claridge at Lymington. Members of such sailing clubs as Tamesis, Northampton and Frampton are winning the honours at National Championships, for which numbers remain high. 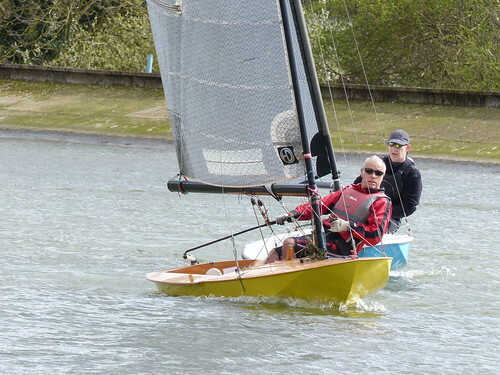 There is also new energy behind the Somerville Travellers Series of open meetings, which provides excellent and varied sailing on rivers and reservoirs for those keen to sail compete with other members of this exceptionally sporting and friendly class. With new enthusiasm in the fleet two builders came to the front to develop and build new boats. John Claridge producing FRP hulls with wood decks and Severn Sailboats producing in all wood. 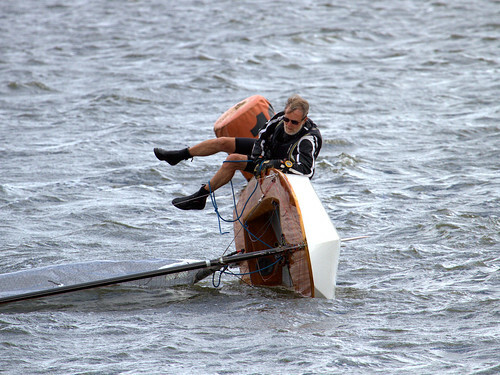 The 2010 Championships and Somerville Trophy were won by Frampton on Severn SC helm – Roger Witts in a Claridge boat. During this time an all FRP self drainer had been produced by Claridge that was seen at Salterns SC at Lymington. In 2011 Robbie Claridge took the Nationals by storm winning all bar two races. The association celebrated its 80th anniversary in style by introducing a new all FRP moth developed by John Claridge at the London Dinghy Show. 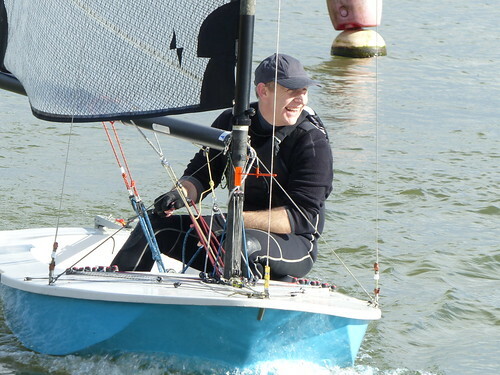 With a wide selection of open meetings that year Rob Wilder took the honours of the Travellers series and became national champion (the first time since 2007) sailing X Moth, a boat out of the Severn Sailboats yard. In 2013 Toby Cooper returned to the circuit in “When”. He showed that he had not lost his moth skills by winning the Nationals for the 14th time. 2015 saw three new Calridge boats apppear on the circuit. Four of these boast took the top five psoitions at the Nationals, with three taking the top five positions on the Travellers Circuit.